The Tech 21 Impact Shield is one of the most advanced screen protectors available for your Samsung Galaxy S6. Bubble-free, self healing and advanced impact protection. item arrived quickly, Item was very easy to install on my phone. The item was easy to put on my phone. unlike other glass protectors that I have used. There are screen protectors and there are screen protectors. The tech 21 may cost the same as a job lot of cheaper variants but this is quite different. From the quality of the packaging/instructions to the applicator and the protector itself this is a quality product. I would say that the change in texture takes some getting used to but that will soon happen with typical daily use. Impressive product, would not hesitate on buying again. I do not typically leave reviews however after applying the Tech21 impact shield to my phone and having an incident I felt obligated to share my experience. I work in an automotive shop and deal with a variety of automotive chemicals, some that are fairly caustic. During a routine fuel system service I had the service tool fitting fail on me causing fuel system cleaner to spray all over my tool bench, which my phone was sitting on top of. After cleaning the chemical off the screen of my phone I noticed there were now blotch marks left behind by the chemical. Unfortunate I thought, however the blotches were not noticeable with the display on and well if it bugged me that much I could just replace the shield. To my astonishment over the next two days I watched the screen go from blotchy to crystal clear again, the self healing properties of this shield is not just a "selling feature" it actually works. I will gladly buy any shield product from Tech21 in the future knowing what it can do. Tech 21 Impactology are at the forefront of protection technology innovation. That's why the Impact Shield is arguably one of the most advanced screen protectors available by combining a multi-layered protection system with self-healing scratch resistance and easy bubble-free application. The Impact Shield is constructed of three layers to absorb some of the hardest shocks. The first layer is a hard top layer that helps to spread the impact force, the second layer is made from the same material that helps bullet proof glass get its name. Tech 21 screen protectors have self-healing and anti-scratch properties, which will prevent your device from loose keys and coins. This gives complete peace of mind when you place your phone in your bag and your packet. Application is easy with the Impact Shield. The screen protector is a one touch process and goes on bubble-free in seconds. Once the screen protector goes on you wont even know it's there. 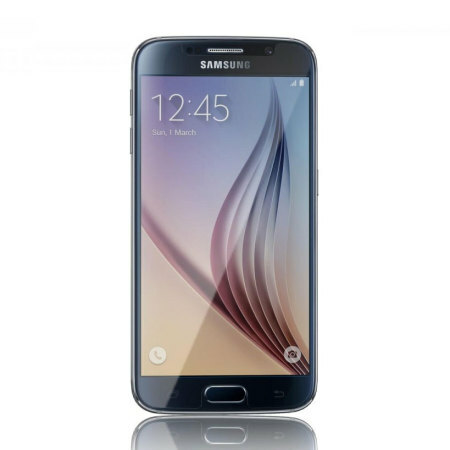 This means you will have perfect optical clarity when viewing your Samsung Galaxy S6's magnificent screen.